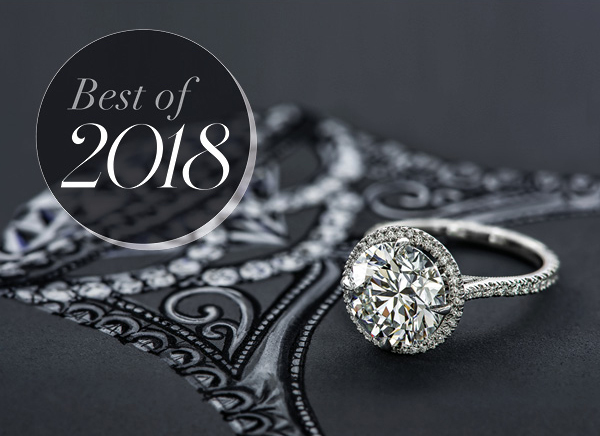 This unique collection of engagement rings marks an eventful year of custom design from our Bellevue and Seattle studios. 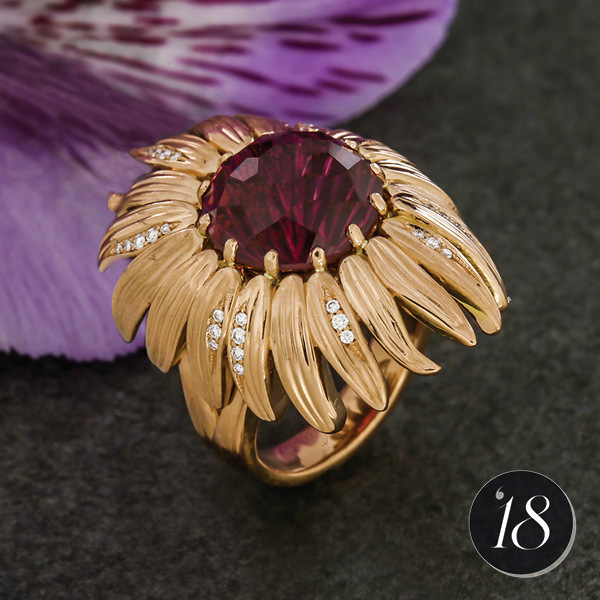 From ornate to floral, vintage to contemporary, we are excited to inspire you with this collection of custom pieces beautifully crafted by our expert designers and jewelers. 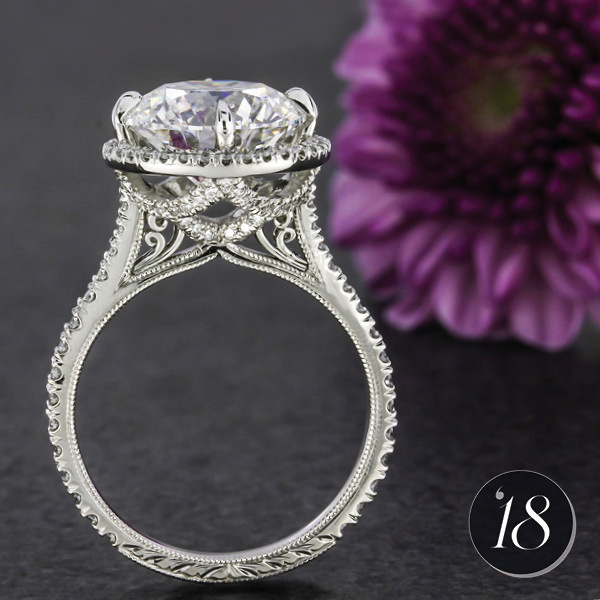 We adore when classic styles come together with contemporary flourishes to create a truly sublime custom design. 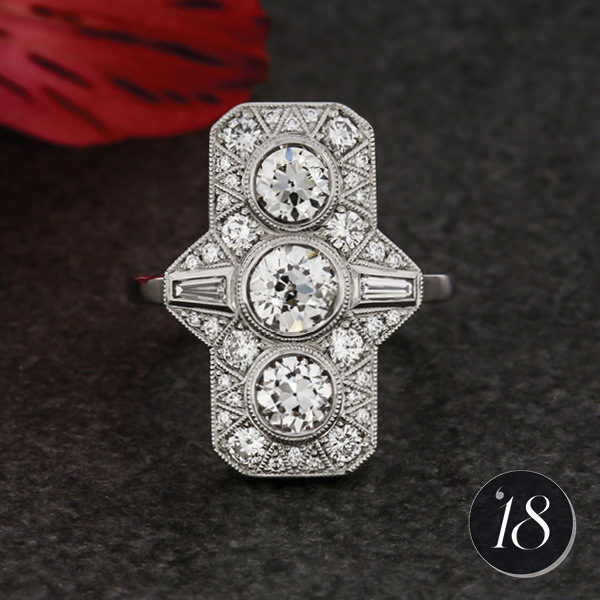 These three rings feature traditional styles made with a fresh design perspective that represents the best of then and now. 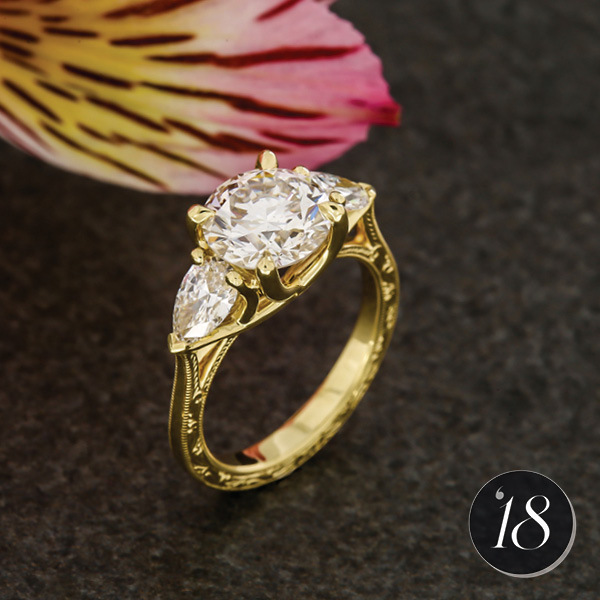 and features a pair of glittering pear-shaped diamonds framing the center diamond. of pear-diamond shoulders edged in sweeping ribbons of bead-set pavé. 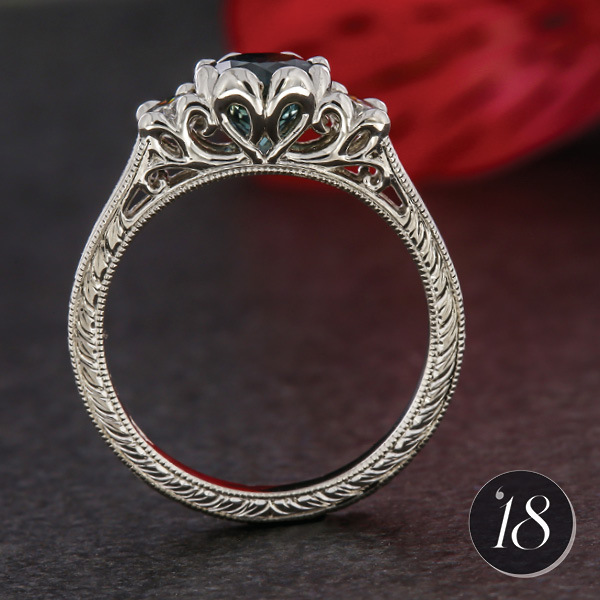 complete with french-set diamonds and filigree curls. 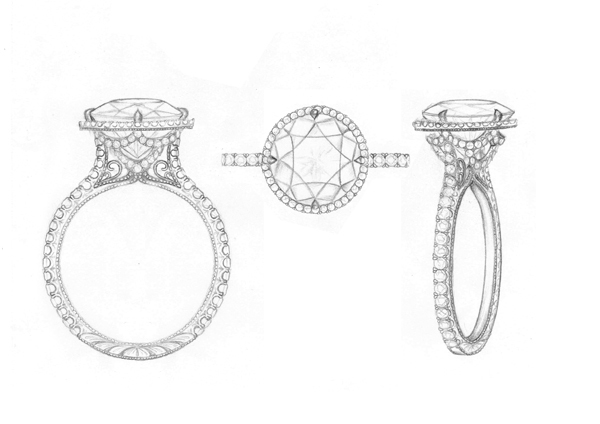 Our designers take care to sketch and plan every angle of a Green Lake engagement ring. 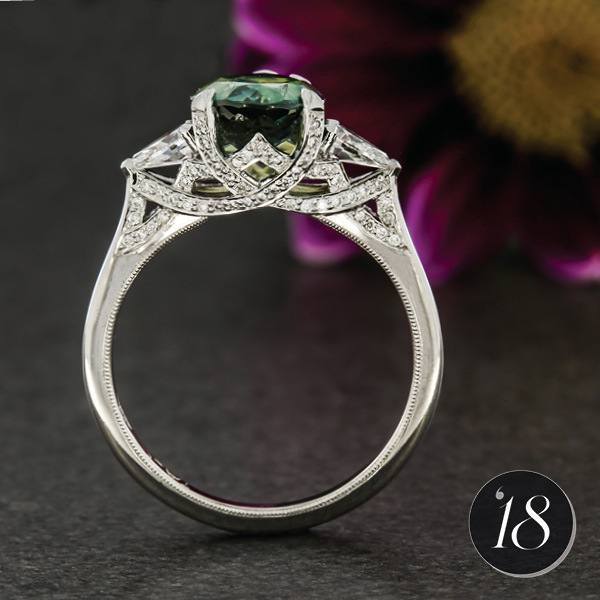 While the top view of a ring is what most people see and notice first, the side gallery of a ring can hold just as much interest and detail. 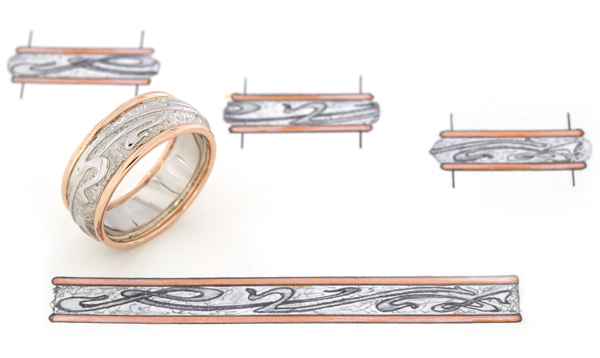 These rings may just inspire your own gorgeous gallery view. flow into vintage inspired half-wheat engraving. leaving the sides of the teal Montana sapphire and pear-cut diamonds bright to behold. 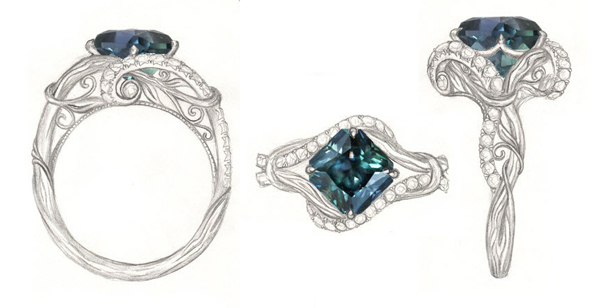 by a french-set tendril of diamonds, all cradling a beguiling kite-set Montana sapphire. Last year was once again filled with an incredible array of vintage-inspired pieces. 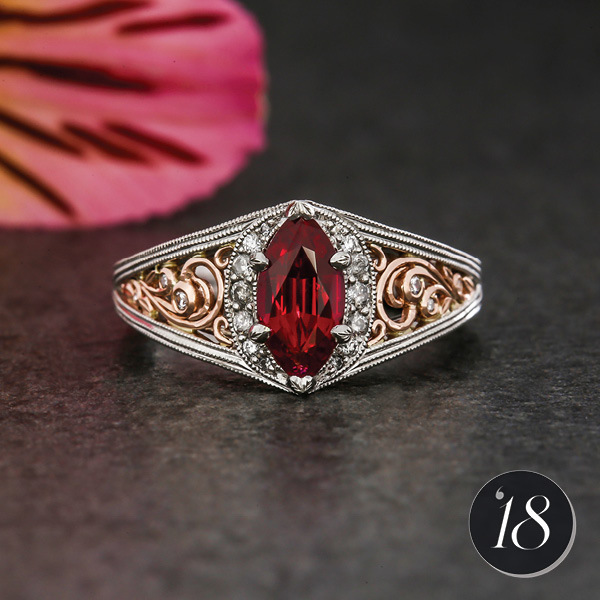 We are constantly drawing inspiration from these traditional styles of jewelry, and are proud to continue a legacy of hand-fabricated filigree, milgrain, and engraving techniques in our Bellevue and Seattle studios. and wheat engraving down the band, showcases a dramatic deep blue sapphire. in milgrain with petal and wheat engraving down the band. 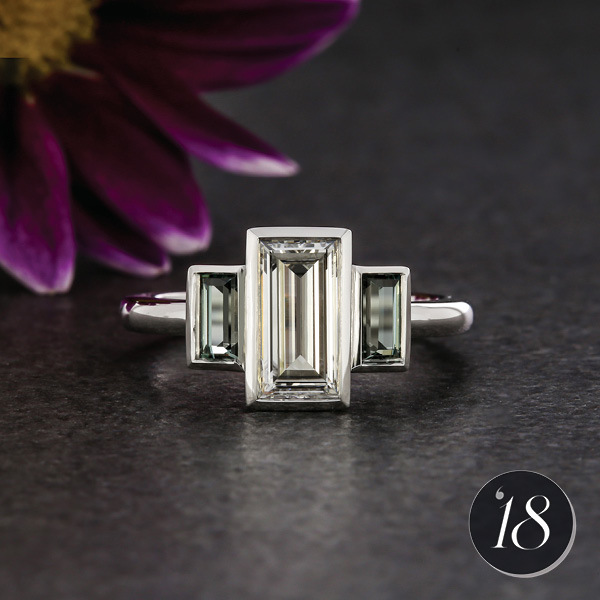 bead-set diamonds and tapered baguettes in this timeless Art Deco inspired ring. 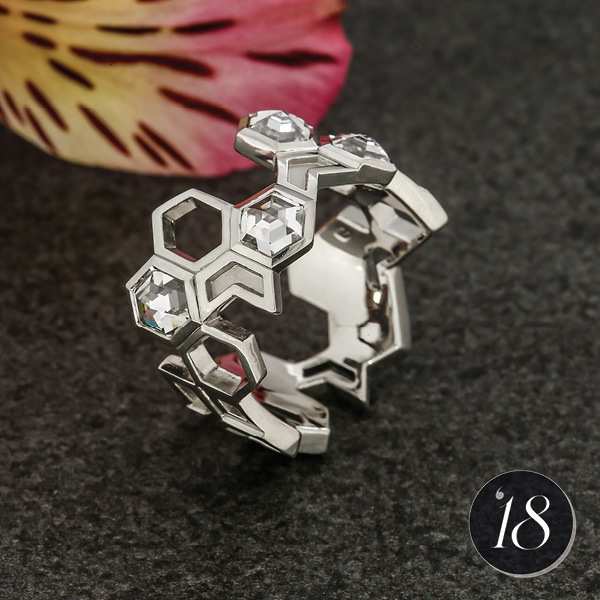 Modern jewelry design is notable for sleek, clean lines, and an understated aesthetic that easily lends itself to everyday wear. 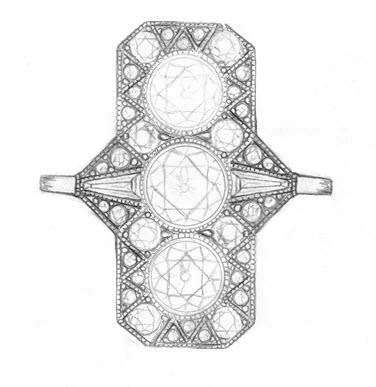 If you fall in love with a geometric gemstone, a modern ring design is a unique and non-traditional way to celebrate your engagement. baguette Montana sapphires and a stunning baguette diamond. 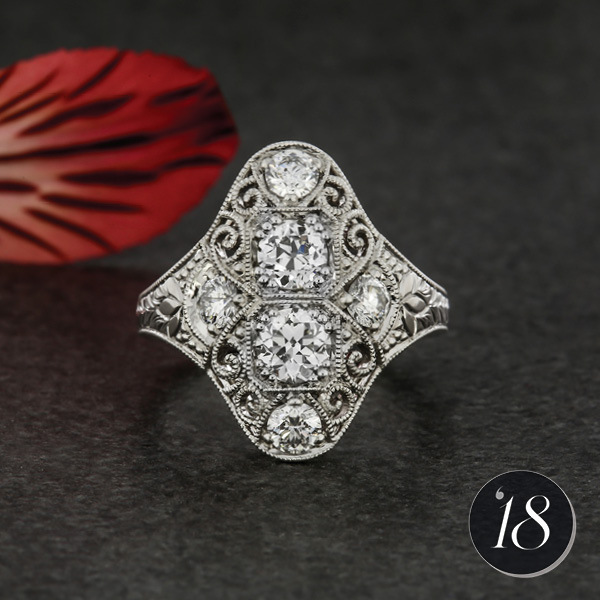 diamonds, alternating recessed and pierced sections, and mixed polish finishes. 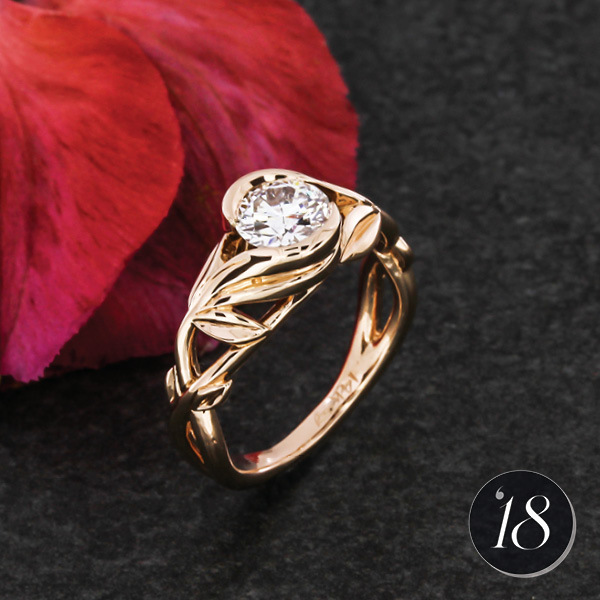 A classic choice for romantics, we create a veritable bouquet of floral rings throughout the year. 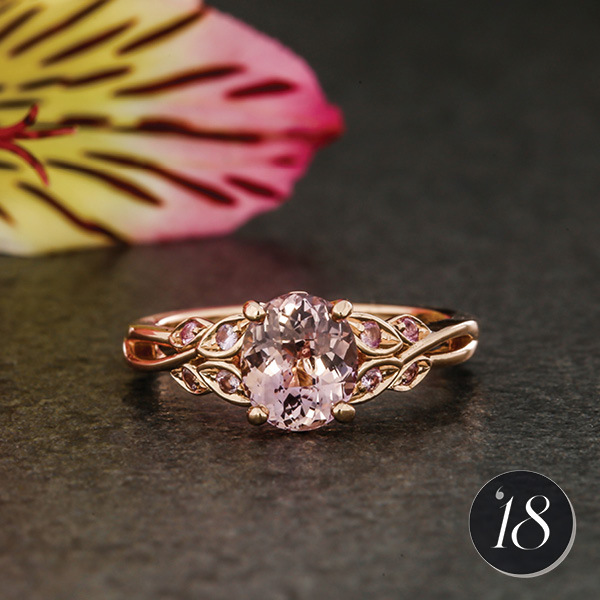 The warm hues of rose gold enhance a varied palette of jewel tones. 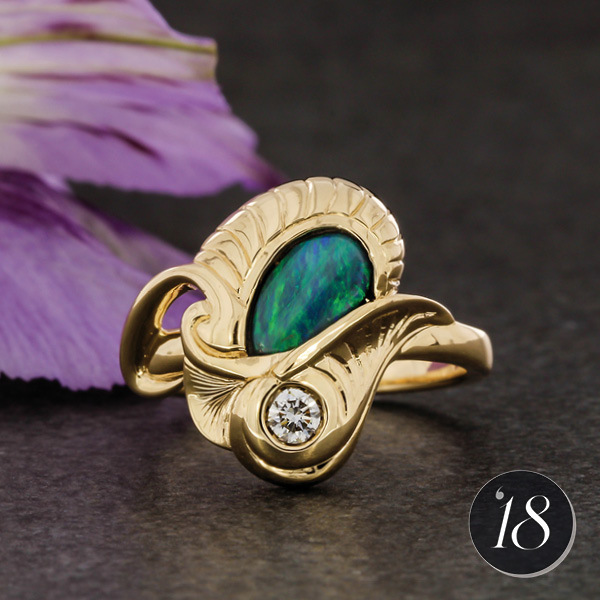 and is accented by delicate curls on the side face in this elegant nature-inspired ring. 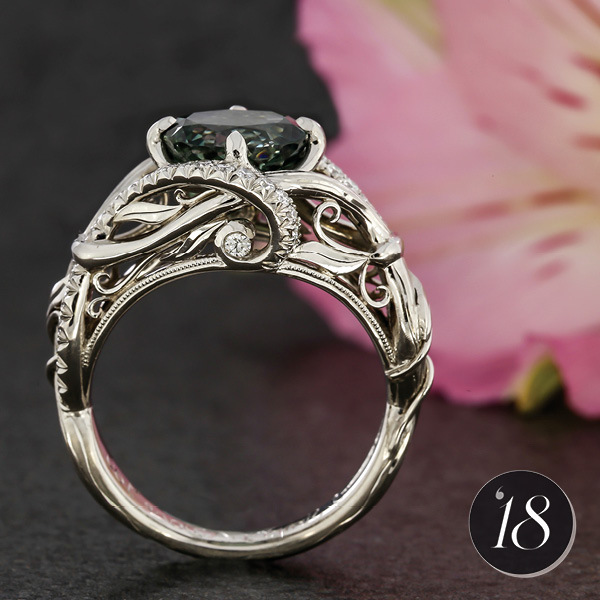 sweeping leaves and vines that create a captivating setting for both diamonds and sapphires. 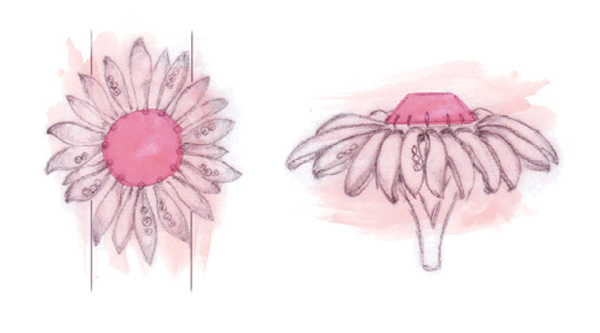 while varied high and matte finishes give the flower even more life and interest. The addition of a second (or even third metal) can bring depth and dimension to a custom design and make even the smallest details *pop*! 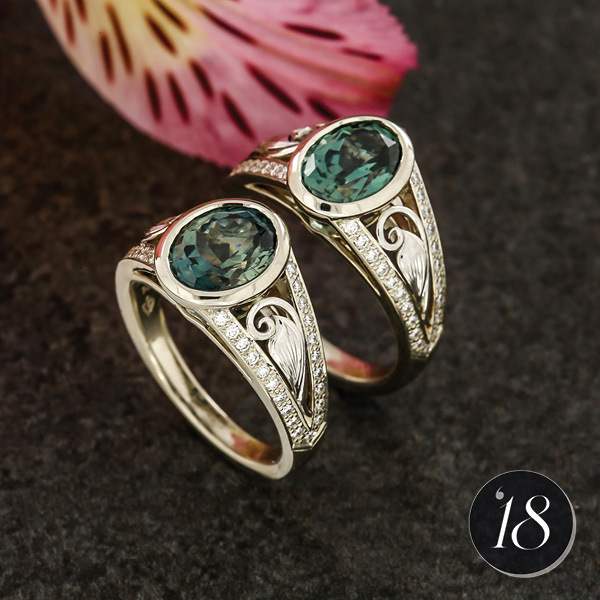 We admire these rings for their adventurous combinations of color, texture, and detail. 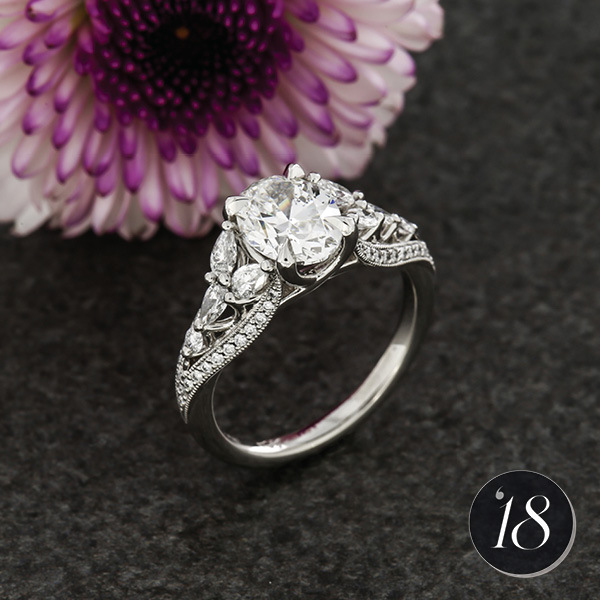 of the platinum setting are filled to the brim with hand-fabricated rose gold filigree curls and diamonds. 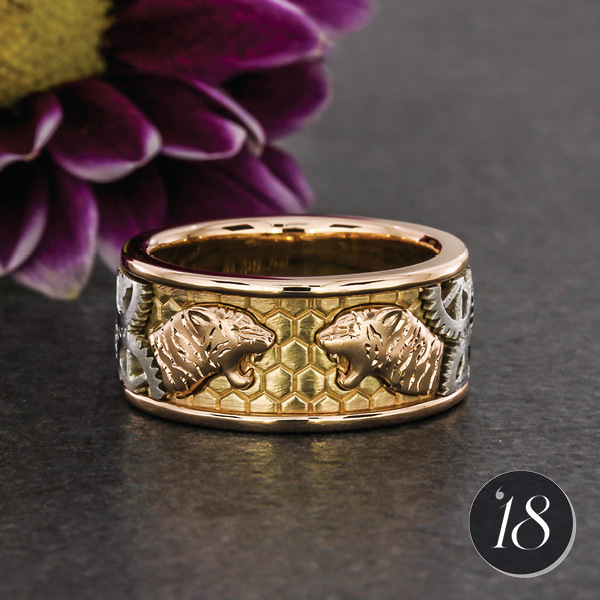 This one-of-a-kind band features a yellow gold honeycomb background, platinum gears, and ferocious rose gold tigers. Our designers always enjoy the opportunity to create a custom wedding set for a Green Lake couple that is unified by their favorite design elements. 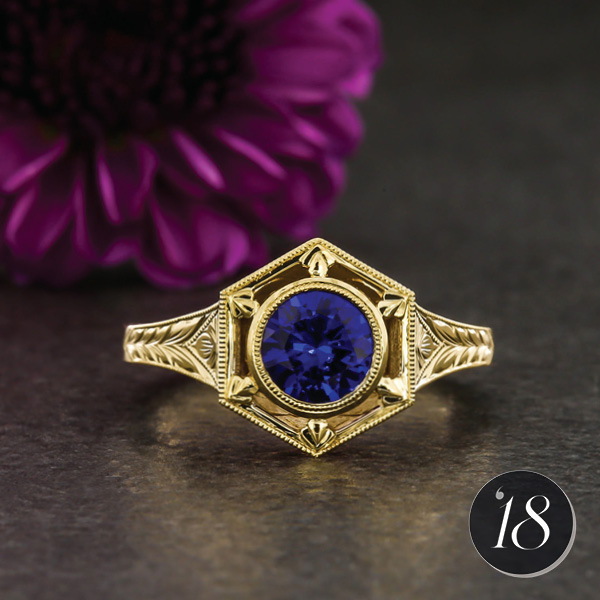 Whether it’s a matching engraving pattern, hidden gemstones, or a silhouette of a favorite hiking spot in the mountains, these pairs of rings make their own remarkable collection of jewelry. leaf-and-curl detail set between rows of bead-set diamonds. 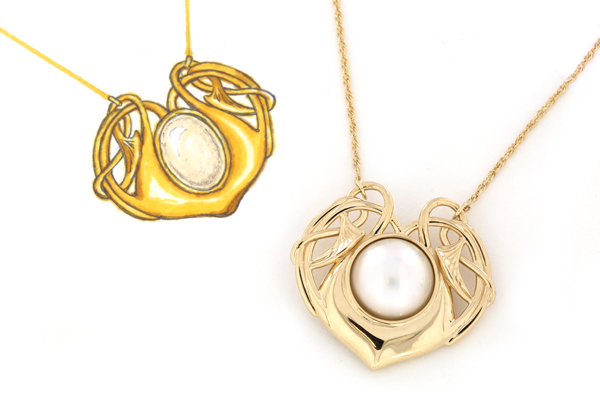 were designed by a couple deeply inspired by Art Nouveau design. 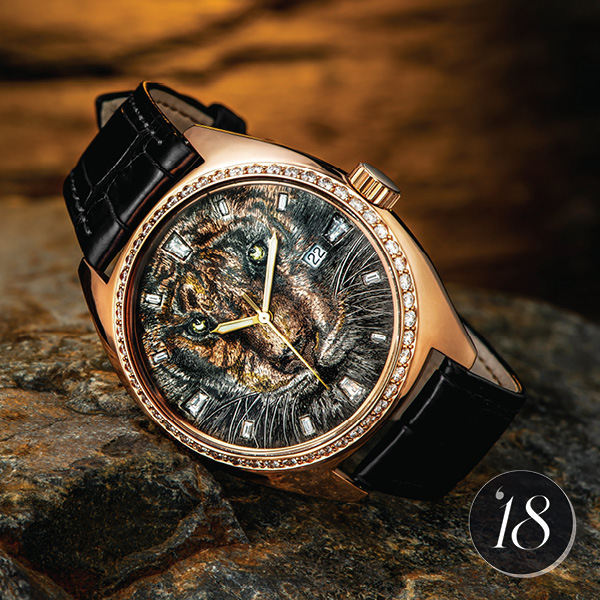 Celebrating a new benchmark in skill, time, and technique, we are thrilled to share this one-of-a-kind bespoke timepiece. 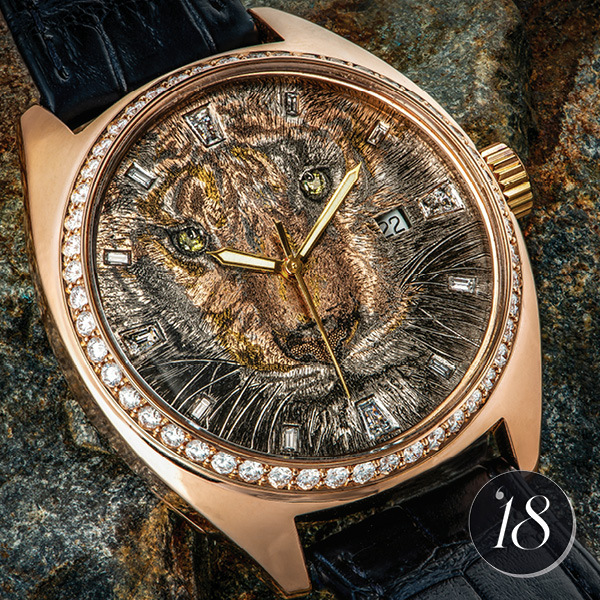 We were approached to create an incredibly memorable gift for a landmark birthday in honor of Year of the Tiger. 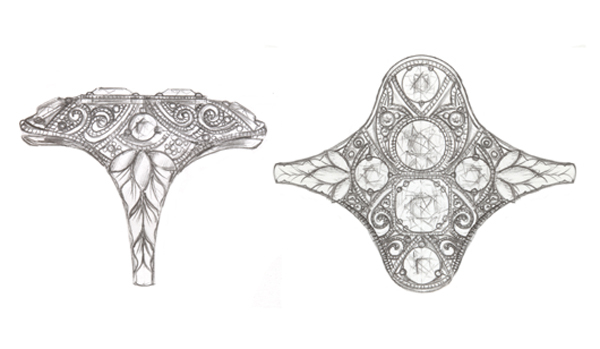 The face plate contains a combination of painstaking hand-engraving inlay work, and represents months of collaboration between client, designer, and jeweler at the bench. 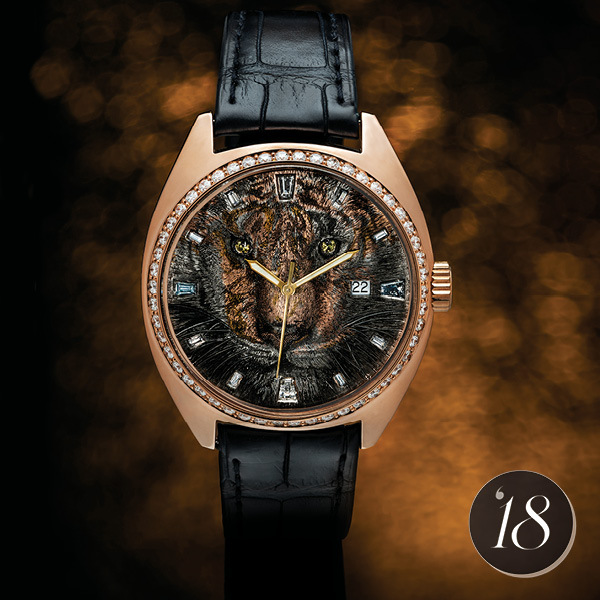 The hours are marked by tapered baguette diamonds, and this noble tiger is truly brought to life with glowing yellow diamond eyes. We are thrilled by the results of this collaboration, and look forward to what challenging and innovative custom projects lay on the horizon.